Paul Sherar, a photographer at Samaritan’s Purse, just sent me this picture. 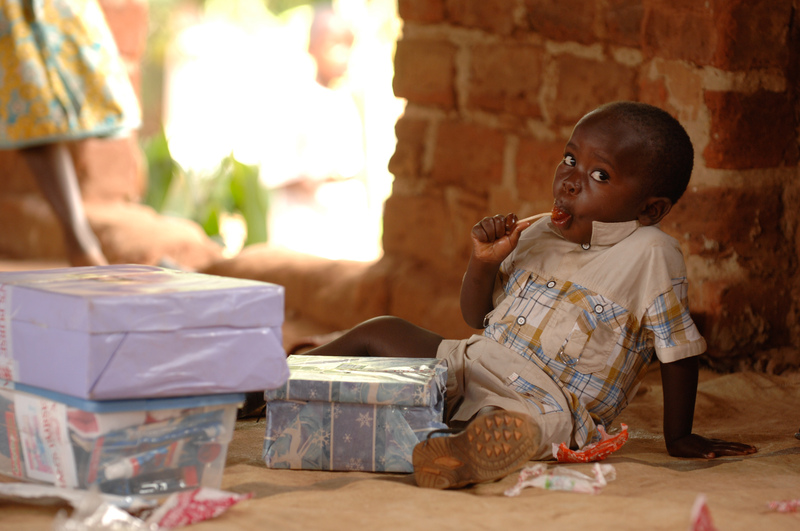 I just laughed while looking at this boy from Uganda open his OCC shoebox. For this one moment in time, he has No Worries, except for How Many Licks it Takes to get to the Center of a Tootsie Roll Pop.